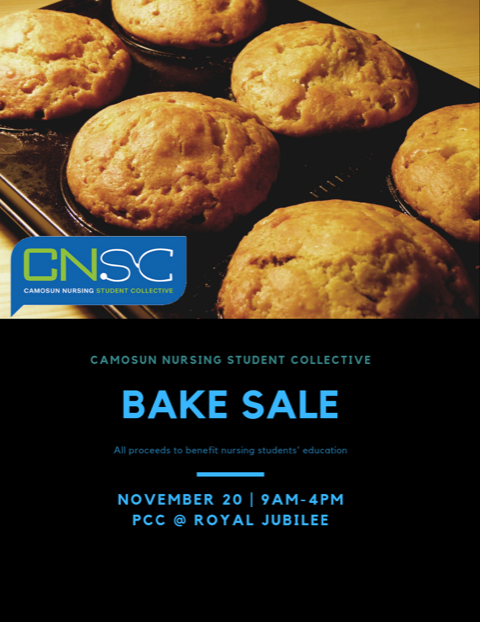 The Camosun Nursing Student Collective is fundraising to send our CNSA delegates to the Western Regional and National Conferences this year. Help us with our fundraising efforts by volunteering to be a part of our bake sale at Royal Jubilee Hospital! We are looking for volunteers to bake and to sell on November 20.